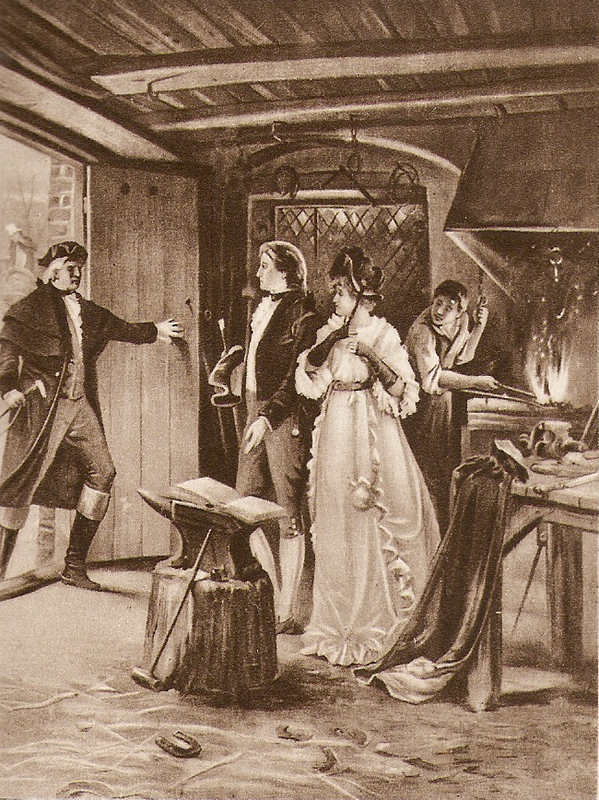 When couples began eloping to Scotland, the Blacksmiths Shop very quickly became synonymous, as a hotbed of scandal and intrigue with many daughters from respectable families choosing to flee here to "marry a scoundrel". The 'Anvil Priests' would perform the ceremony for "a wee dram or a few guineas" depending on your status and financial standing. The hammering of the anvil soon became a notorious sound; romantically it is said that like the metals he forged, the Blacksmith would join couples together in the heat of the moment but bind them for eternity. Today as you pass through the narrow walls and low ceiling of the Famous Blacksmiths Shop you are touched by the atmosphere of this ancient building. You can just imagine hearing the voices of the frantic couple as they make their dramatic dash over the border claiming, "It must be tonight! It must be tonight!" 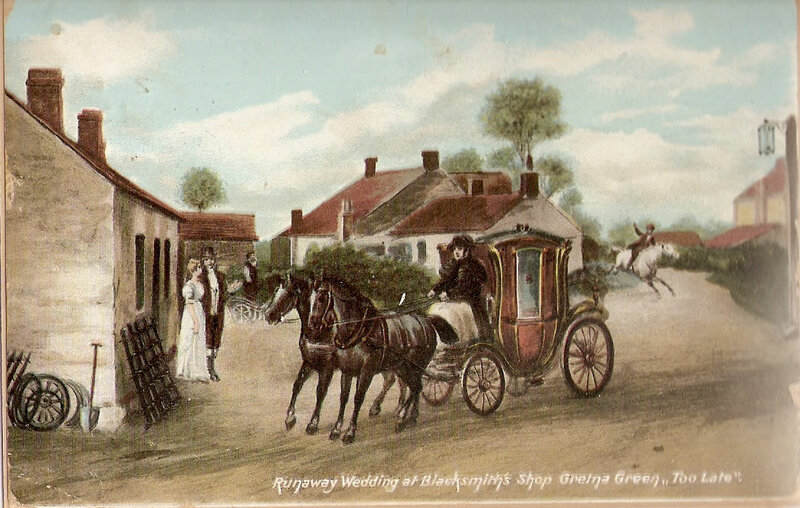 Over the years, the Famous Blacksmiths Shop became Gretna Green's best-known marriage venue, with the Blacksmith, and his legendary anvil, becoming synonymous with Gretna Green weddings.